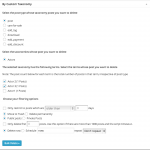 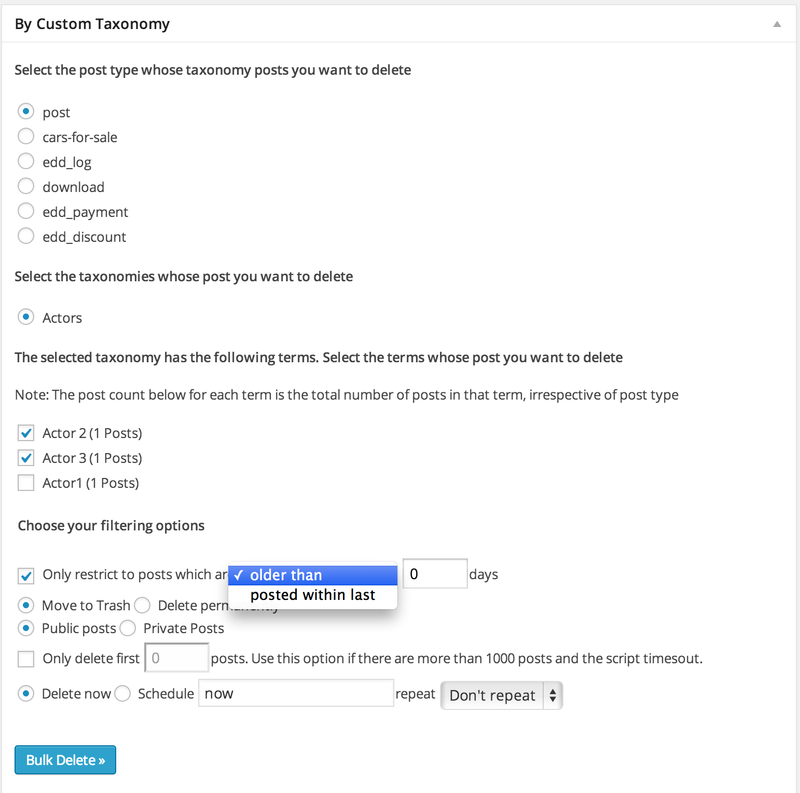 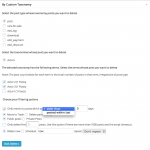 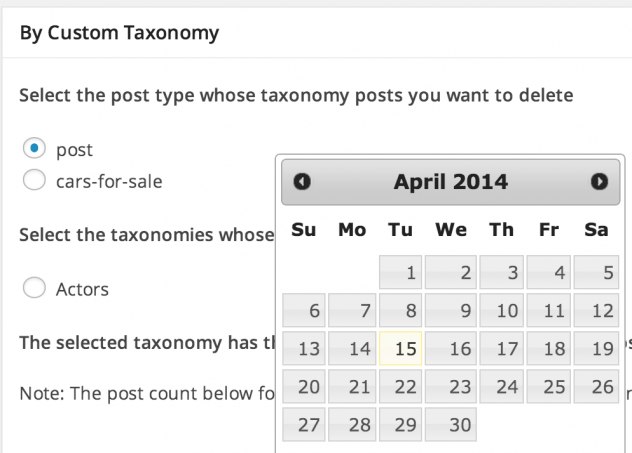 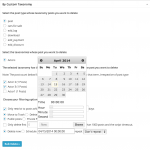 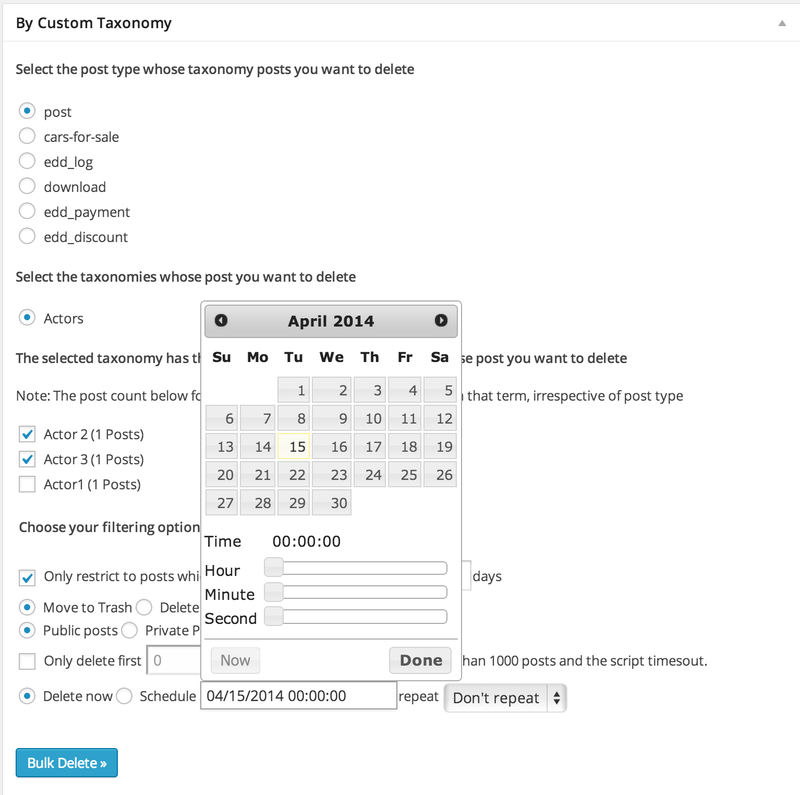 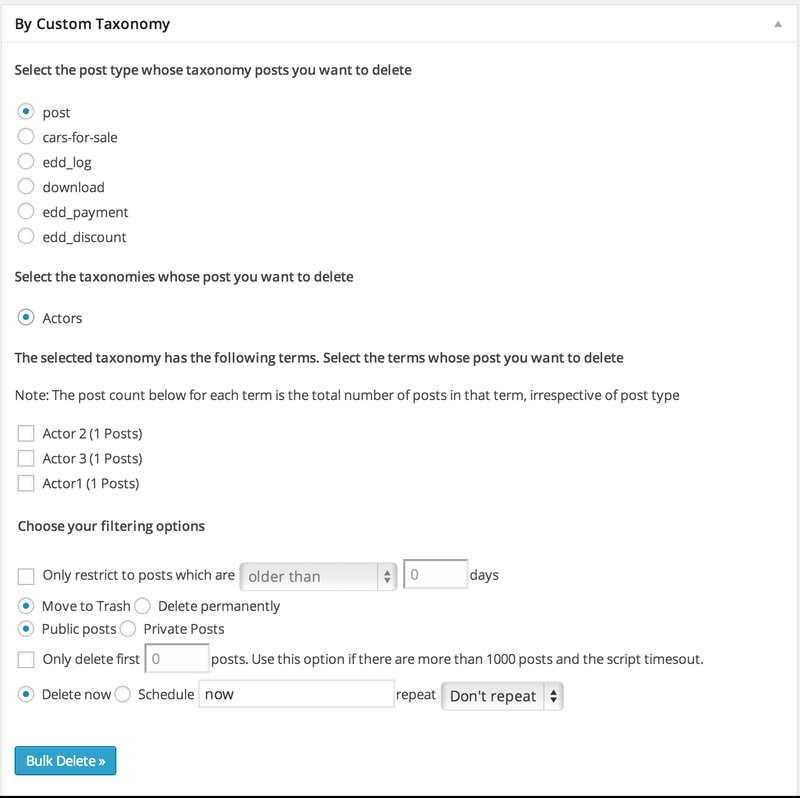 This addon adds the ability to schedule auto delete of posts based on custom taxonomies. 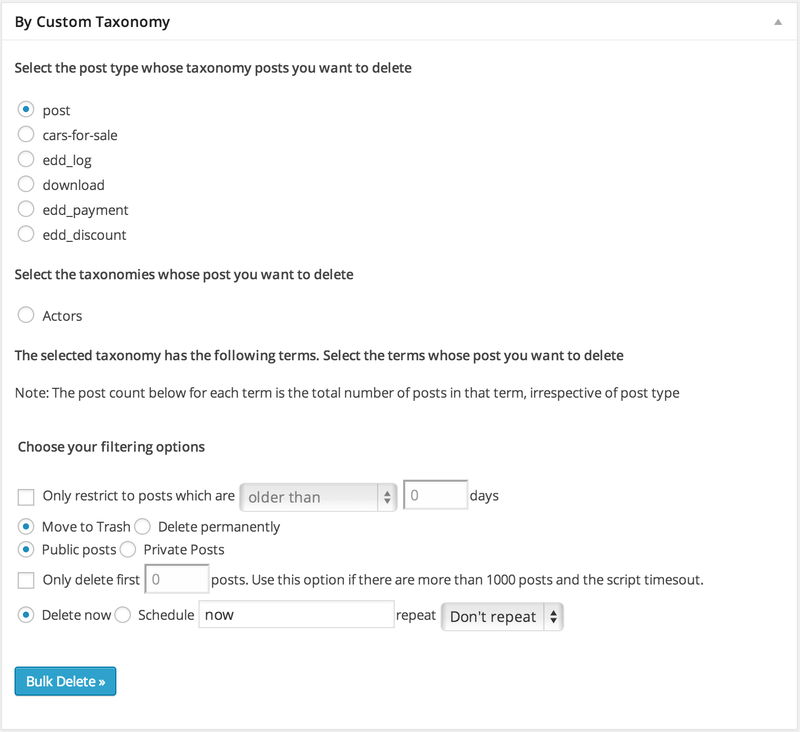 This will be really useful, if you have to delete posts based on custom taxonomies on a regular basis. Add checks to see if Bulk Delete Plugin is active.